This month, you have been treated to an online tour of our postcard collection. 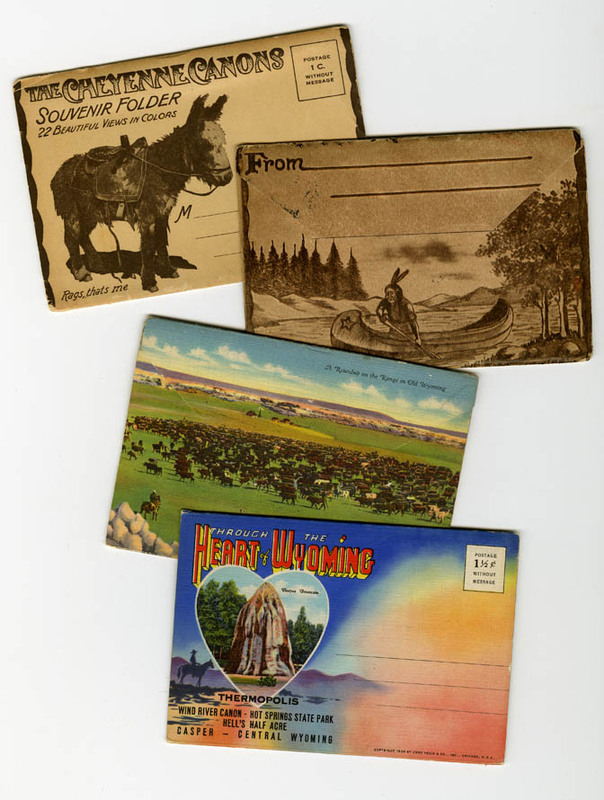 The postcards are some of the most compelling items at the State Archives and I hope they provided encouragement during April’s cold snaps and incentive to get out and see Wyoming during the beautiful spring and summer months ahead. Examples of a few of the postcard folders sent to us by the University of Texas at Arlington. Our collection consists of over 3500 postcards, many of which feature towns, state and national parks, and attractions from around the state. They tend to find their way home to Wyoming from all corners of the country. We recently added to our collection thanks to a donation from the archives at the University of Texas at Arlington. Last year, the Michigan State Archives sent us a selection of Wyoming postcards. The majority of the postcards have come to us through private donations. We appreciate the professional courtesy extended to us by those archives listed above and the generosity of our private donors. The postcards are a great reminder that we need (and receive!) lots of help to preserve Wyoming’s history. It seems appropriate that we end our Wyoming tour at Trail End. 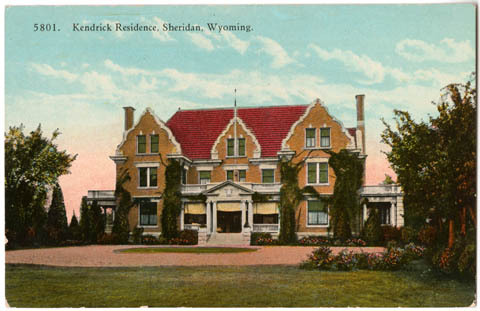 This was Governor John B. Kendrick’s luxurious home on top of the hill in Sheridan, Wyoming, and is now open to the public as a state historic site. Kendrick’s life reads like a fairy tale He was born in Texas and orphaned early in life. In 1879, he trailed a cattle herd from there to Wyoming. It was said that he was so keen on saving money that he actually washed and mended his socks rather than just throwing them out like most cowboys of his day. 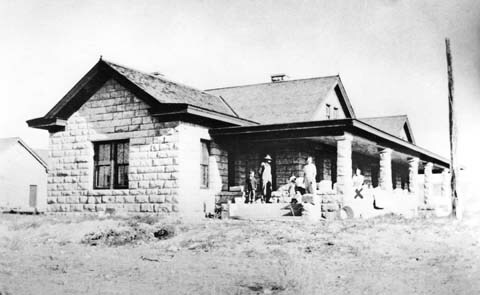 Those pennies kept adding up and in 1883, he used his savings to start the Ula Ranch. 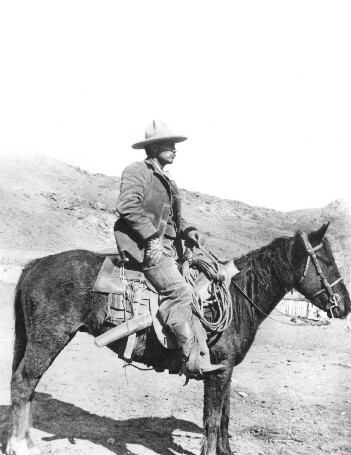 Kendrick worked as foreman and manager for several other ranches while building his own empire. He married Eula May Wulfjen of Greeley, Colorado, in 1891, and they raised 2 children, Rosa Maye and Manville. In 1910 Kendrick entered politics and was elected Senator of Sheridan County. He was elected Governor in 1914 and served until February 1917 when he resigned to serve as a senator in Congress. He proudly served in this capacity until his death in 1933. Throughout his political career, Kendrick was influential in politics and defending Wyoming’s water rights. Only weeks before his death, he succeeded, almost single-handedly, in gaining final approval for the Casper-Alcova (Kendrick) Irrigation Project. The LX Bar Ranch outside of Gillette became the family’s home ranch, though Kendrick’s holding included 7 ranches scattered throughout Northern Wyoming and Southern Montana. Several buildings, including the house and barn, were constructed around 1910 using locally quarried native stone. In 2012, property containing the buildings was gifted to the State of Wyoming and is now administered by the Department of State Parks & Cultural Resources. Trail End itself is an impressive edifice. Built in 1911, the three-story mansion includes 5 entrances, a formal drawing room with French silk covered walls, a hidden cabinet (purportedly used to stash liquor during prohibition), an elevator, a walk-in vault, intricately carved woodwork, and six bedrooms with private baths. Nearly the entire third floor was used as a ballroom, complete with a musicians loft. Visit the Trail End Historic Site website for a virtual tour of the house. Did you know that the jackalope almost became our newest state symbol? During the 2013 legislative session, a bill was introduced proposing the jackalope as our state mythic creature. The bill was drafted in memory of Representative Dave Edwards, who passed away during the session. 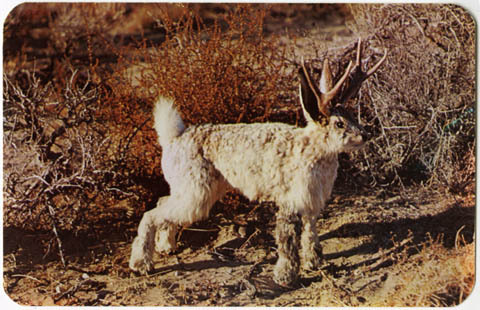 Edwards helped to promote the Jackalope as a symbol of his hometown of Douglas and it had been his dream that the jackalope be recognized as an official state symbol. Unfortunately, the bill did not pass. The town of Douglas celebrates the Jackalope the first weekend of June with many activities, such as, vendor entertainment, various events and mudbogging. Come join the fun! Douglas Herrick, creator of the “jackalope” — that curious critter with a jack rabbit’s body and an antelope’s antlers that could turn downright vicious when threatened yet sing a gentle tenor along with the best of the campfire cowboys —died Jan. 3, 2003 in Casper, WY. He was 82. In the 1930s, the Herrick brothers — Douglas and Ralph, who studied taxidermy by mail order as teenagers — went hunting. Returning home, they tossed a rabbit into the taxidermy shop. The carcass slid right up to a pair of deer antlers, and Douglas Herrick’s eyes suddenly lighted up. “Let’s mount it the way it is!” he said, and a legend was born — or at least given form. Jackalope, thanks to the Herrick brothers, have taken their place in modern mythology right alongside Bigfoot and the Loch Ness Monster. Fact or fiction, legend or lark, the jackalope the Herricks stuffed and mounted gave their native Douglas, WY., a reason to be. Before discovery of uranium, coal, oil and natural gas doubled the town’s population to about 7,500 in the mid-1970s, Douglas specialized in selling jackalope souvenirs. The Herrick’s fed the increasing demand for the stuffed and mounted trophies. Tens of thousands have been sold. That first jackalope was sold for $10 to Roy Ball, who installed it proudly in the town’s LaBonte Hotel. The mounted horned rabbit head was stolen in 1977.
later added a 13-foot-tall jackalope cutout on a hillside and placed jackalope images on park benches and fire trucks, among other things. Now the largest jackalope in the world resides at the Douglas Railroad Interpretative Center. The Douglas Chamber of Commerce has issued thousands of jackalope hunting licenses, despite rules specifying that the hunter can hunt only between midnight and 2 a.m. each June 31. Tourist-shop clerks in Douglas told and retold tales of cowboys who remembered harmonious jackalope joining their nightly campfire songs. Visitors rarely have left Douglas without buying jackalope postcards and trinkets. The state of Wyoming trademarked the jackalope name in 1965. Twenty years later, Gov. Ed Herschler, crediting Douglas Herrick with the animal’s creation, designated Wyoming the jackalopes’ official home. The governor proclaimed Douglas to be the “Home of the Jackalope”. Mr. Herrick made only about 1,000 or so horned rabbit trophies before going on to other things. His brother kept churning out jackalopes. Mr. Herrick grew up on a ranch near Douglas and served as a tail gunner on a B-17 during World War II. He worked as a taxidermist until 1954, when he became a welder and pipe fitter for Amoco Refinery until his retirement in 1980. Fort Bridger is one of the oldest permanent white settlements in what is now Wyoming. This bit of land has seen it all. From Native Americans to Trappers and mountain men, religious militias to the US Army, trading post and commissaries to modern convenience stores, game trails to emigrant trails to interstates. 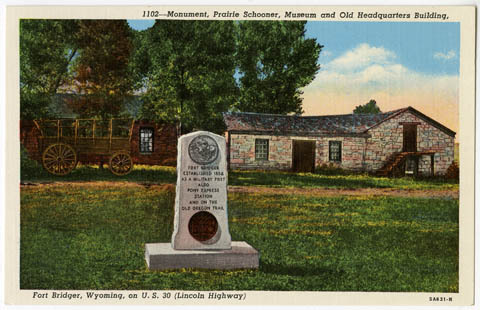 This monument was placed as Fort Bridger when it became a State Historic site in 1933. Nearly 7,000 people attended the festivities and several dignitaries spoke, including Wyoming Governor B.B. Brooks and LDS President Herbert Grant. In the 1840s, mountain men camped, hunted–and a few even died- in the Valley in their quest for beaver and other furs. In 1842/3, Jim Bridger saw the end of one way of life and decided to settle down and build a trading post with his partner Louis Vasquez. The location he chose was strategically placed in an oasis like valley on the edge of the Wyoming badlands, on the Oregon and California Trails and at the head of the canyon leading into the fertile Salt Lake Valley. In this remote spot, Bridger built his trading empire. In 1847, Brigham Young and a group of Mormon settlers established Great Salt Lake City in the neighboring valley. The two parties disagreed on many issues. In 1853, an armed militia out of Salt Lake attempted to arrest Bridger for selling alcohol to the local tribes. Bridger abandoned the fort and the Mormons established their own Fort Supply nearby. The LDS church claimed that they had purchased the fort, through a power of attorney, from Vasquez and Bridger for $8000. By 1858, hostilities between the LDS church in Salt Lake and the US Government in Washington DC had become so heated that the US Army was sent to depose Brigham Young from his position as governor of Utah Territory. The walls of the fort were reinforced but ultimately, both Fort Supply and Fort Bridger were burnt by the retreating Mormons. (You can still see a portion of the “Mormon Wall” today) The US Army took possession of the ruins and occupied the site almost continually until 1890 when all of the frontier posts were abandoned. 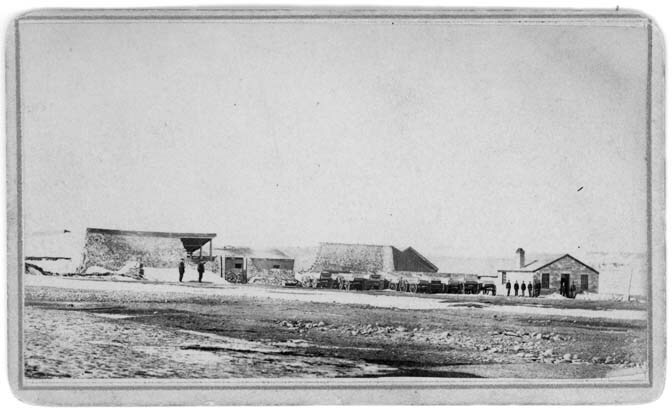 Commissary and ruins of the old trading post, surrounded by the “Mormon Wall”. In addition to a trading post, the site has served as a pony express stop, terminal on the first transcontinental telegraph line, and a stop on the first transcontinental highway (Lincoln Highway). Fort Bridger was also the second post office established by the Federal Government in what is now Wyoming. It was established in August 1850, only 5 months after the post office at Fort Laramie. In 1933, the site was transferred to the State of Wyoming and is still administered as a State Historic Site by the Department of Parks & Cultural Resources. It has been a popular tourist attraction since then. Visitors can explore the remains of the fort, several restored buildings, and the museum housed in the old barracks building. Today’s stop on our trek around the state is Sinks Canyon. No, the canyon was not named for the local’s habit of tossing their unwanted kitchen basins here. This is the site of the Popo Aggie River’s (pronounced po po shia) big disappearing acting. 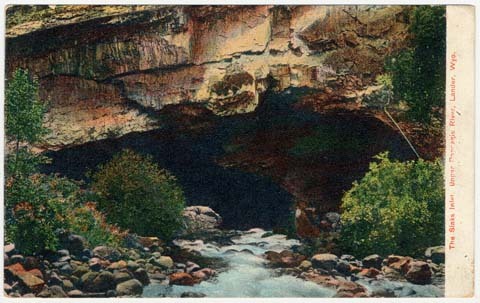 The river flows into a cave, called the Sinks, and goes under ground for about half a mile before re-emerging into a pool filled with trout, called the Rise. To this day, no one is quite certain of the exact route the river takes, but dye tests suggest it takes water 2.5 hours to make the journey. To add to the mystery, more water flows out of the Rise than flowed into the Sinks! According to one Native American legend, star-crossed lovers are credited with the creation of the Sinks. A young maiden lived near the Popo Agie River and she fell in love with a young man from another tribe. Her father did not approve of the match and told the young man to leave and return to his people. Distraught, the couple eloped. The enraged father chased the couple but suddenly, a cave appeared and swallowed the couple…and the river. Greetings From…Hot Springs State Park! Hot Springs State Park is nearly as old as the state of Wyoming! The land was transferred to the State of Wyoming by the Shoshone Tribe, under the leadership of Chief Washakie in 1897. The treaty specified that a free bath house would be maintained to accommodate those who wished to use the springs but could not pay. The State, through the Department of State Parks and Cultural Resources, continues to maintain a free bath house for visitors to this today. 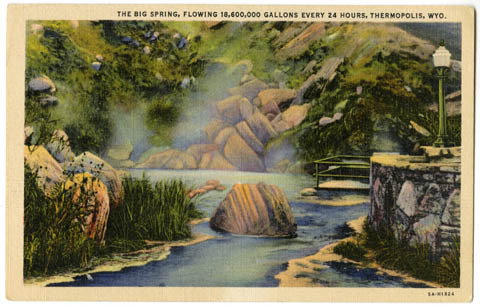 The town of Thermopolis (“The City of Heat”) grew up around the springs as tourists flocked to the area to enjoy the mineral rich waters. One of the most photographed, and unique, attractions in the park is Tepee Fountain. Though many assume that this, like the nearby mineral terraces, is a natural feature, it is actually the result of a practical need. Around 1903, the city of Thermopolis undertook two waterworks projects. The first piped in fresh spring water to town for drinking and washing and the second directed hot mineral water to the various sanitariums and bath houses in the park. After the pipes were installed, the lessees complained about low water pressure from the mineral taps. This stumped folks. Surely mineral deposits could not have blocked the pipes so soon! “Wandering about the Reserve one day, [park superintendent Jacob Paulus] noticed the steam rising from the Springs. Snapping his fingers he thought I’ve got it! Steam was blocking the flow…. [so] down along the river…Paulus installed a vent pipe.” Water was soon gushing out the pipe and pressure was restored to the bath houses. 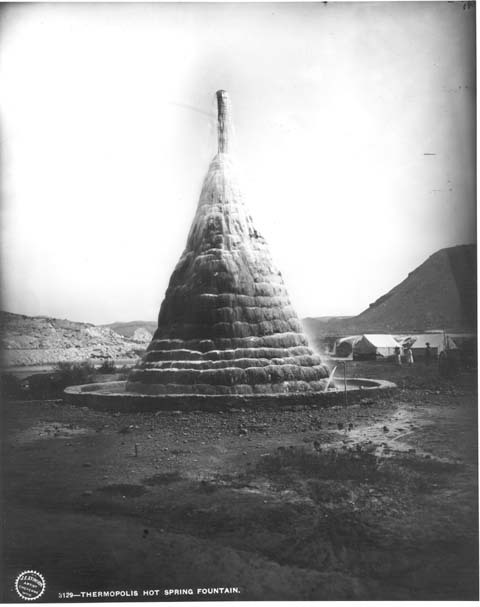 Tepee Fountain as photographed in 1911. Note the pipe is visible at the top of the fountain. The water from the overflow pipe soon eroded the soil around the 12 foot high wooden pipe, so Paulus built a stone pyramid around the pipe to keep it upright and a stone catch basin at its foot, turning the practical pipe into a fountain of sorts. The local newspaper voiced its hopes that eventually the minerals would coat the stone and turn it into a snowy white tourist attraction. As it happened, the minerals build up more quickly than anticipated and algae in the water colored the fountain to match the terraces. Soon, a contractor from Chicago was brought in to replace the original wooden pipe with a 25 foot steel pipe. It was hoped that this would help keep the fountain functioning properly. The extension has lived up to its promise and the vent continues to spill water over the now monstrous fountain more than 110 years later. Are you suffering from Cabin Fever? 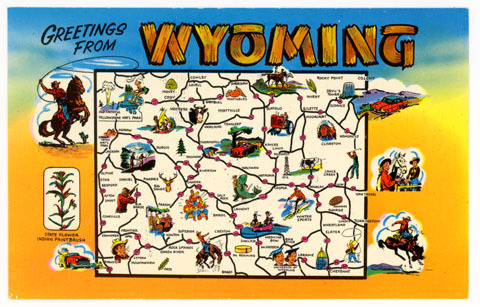 Check back often during April for more stops on our postcard tour of Wyoming! 1. “Museum Musings”, Thermopolis Independent Record 9/7/1978. This time of year it can feel like Summer will never come. All of us here at the Archives are starting to get a bit of cabin fever and we figured y’all might be, too. So how about taking a trip across the state with us… by postcard! We hope their bright, cheerful pictures help to warm your April days. Check back this month to see where we stop!